Benjamin Fröhlich has struck many chords in the arena of electronic music: as a party organizer and record shop owner in his early days, and now as a label owner, DJ, and producer. He is the co-founder of Permanent Vacation Records together with Tom Bioly, which has been up and running since the tropical summer of 2006. Emerging from the vibrant cosmic disco and Balearic scene, Permanent Vacation has been going strong over the past decade with genre-defining hits, albums, and compilations. Fröhlich and Bioly have worked together with the household names of the international electronic dance scene. They have scouted artists like John Talabot, Todd Terje, Tensnake, and Mano Le Tough early in their careers and released their breakthrough records. 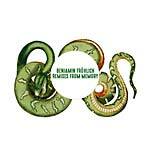 On top of his dedication to explore and feature rising as well as accomplished artists, Benjamin Fröhlich himself has emerged as a producer of vibrant tracks that are testament to his versatile and compelling approach to club music. His 12-inches, which were well received by DJs and clubbers alike, are accompanied by acclaimed remixes including his Tuff City Kids rework, which made it on Roman Flügel's Fabric mix (FABRIC 189CD, 2017). Now his first album is ready to go! 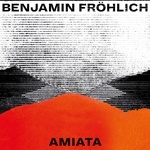 Amiata is a conglomerate of Benjamin Fröhlich's longstanding experience. Just like his DJ sets and work for PV, each of the album's tracks expresses a different facet of his musical preferences. While keeping it under the roof of Benjamin's specific sound, the tracks range from dub hybrids to Italo, disco, and boogie inspired tracks, '90s spacy breakbeats, and electro to classic house ("Last Night" features rising US artist Dreamcast). 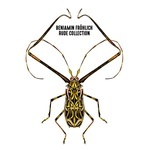 It is an in-depth exploration of his background and Benjamin Fröhlich's passion to combine the unforgettable past and the gripping present with the tunes of tomorrow. I:Cube, Chinaski and Aera refresh and re-draw "Drawn From Memory" from Benjamin Fröhlich's second part of the Rude Movements series. Iconic French producer I:Cube transforms the original into a soul warming late night bomb. Chinaski fuses italo disco with a John Carpenter-style soundtrack aesthetic. Aera slows down the tempo, adding a bubbly and underwater atmosphere that let the dub stabs shine. More rudeness for your pleasure from the co-founder of the Permanent Vacation kingdom, Benjamin Fröhlich. 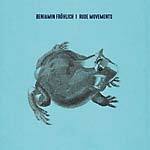 One year after the well-received first Rude Movements EP (PERMVAC 151-1EP) and the accompanied remixes Benjamin Fröhlich returns for another round. The second part of the Rude Movements series brings you further adventures into the world of dance music from the past and present. 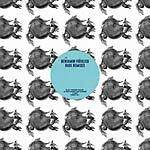 It covers percussive space trance, roaring synth jams to stab-driven and flute-infused house workouts and dubby breakbeat steppers, all happily dancing under one roof. Benjamin Fröhlich's 2016 EP Rude Movements (PERMVAC 151-1EP, 2016) gets the remix treatment by some of his favorite artists: Permanent Vacation long-time collaborator Lauer tugs "Amos" in with a very cozy Frankfurt trance blanket, while Running Back regular Shan pulls out the curls of "Holloway" thanks to his magic styling iron. The result: a pumping and string heavy affair. On the flipside Brussels's wunderkind Cleveland delivers an energizing and mesmerizing breakbeat version of "Ghost Orchid" for the magic moments in life. While Swiss finest Jack Pattern delivers a cosmic disco reinterpretation of "Spitting Image". 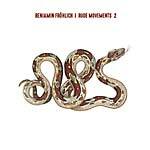 After a couple of well received remixes, Rude Movements marks the first full-grown EP by Benjamin Fröhlich, who is also known for being one half of the Permanent Vacation enterprise. The range spans from synth-driven electro to hypnotic beat tools, industrial acid jams and '90s UK-influenced melodic breakbeat. These four tracks are universally applicable in the world of dance music.